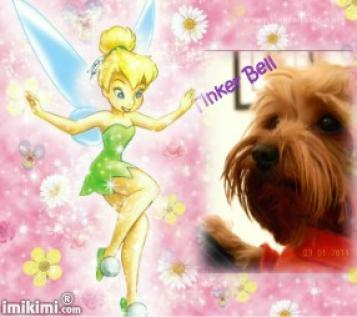 Yorkshire Terriers (and Yorkie Mixes) are energetic, assertive, toy dogs with large-dog attitudes. mirror he is surprised at his appearance, because he expects to see a German Shepherd! He surely does not feel or act, like the picture of the little fluffy dog looking back at him. most is the love and attention from his human. If you do your part, he will do his! My best wishes for you and your new furry kid!!! 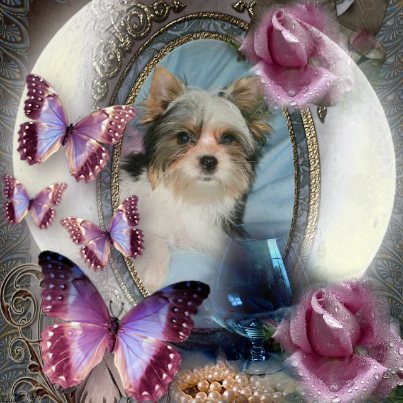 The rarest and most highly sought-after Yorkshire Terrier puppies in today's market are Parti Color Yorkie puppies. This is due to both their unusual coloring and the uniquely adorable appearance of "Yorkies." The word "Parti" originally referred to any dog with "more than one color." Over time, however, the term has come to describe a dog that is basically white with a particular color pattern (spots or patches). 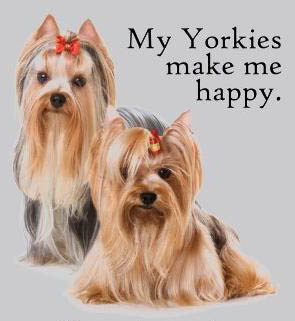 Parti Color Yorkies first came on the scene in the 1800s. However, the Parent Club made a decision at the time that the preferred color for Yorkshire Terrier was the standard colors you see today. 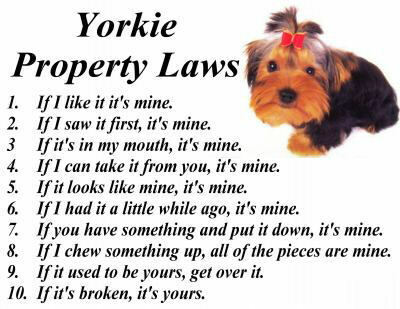 As a direct result, the tiny Parti Colored Yorkie pups were not accepted and were essentially "banished" (given away without any pedigree papers). This remained their fate for over a century. 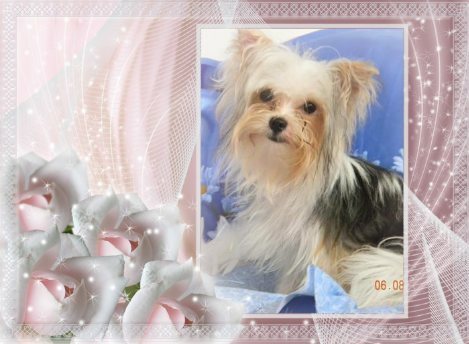 Parti Color Yorkies is a basic white body with other colors including such unique combinations as white/black/blue and white/black/tan. Many people have the mistaken notion that a Parti Color Yorkie is not eligible for AKC registration. This is simply not true. 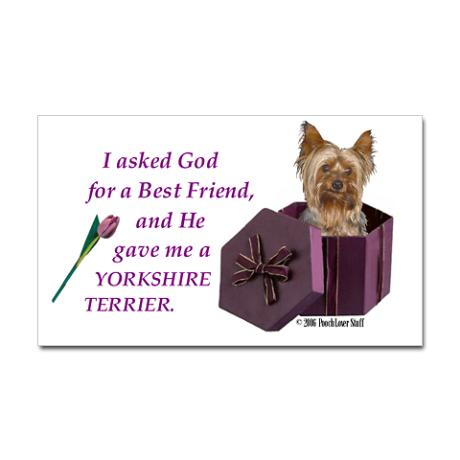 In fact, Parti Colored Yorkshire Terriers can be registered with the AKC. 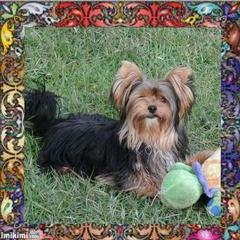 Every one of our rare AKC registered Parti Color Yorkies is 100% purebred Yorkshire Terrier. AKC has designated Parti colored Yorkie pups alternate color number as shown in the chart. 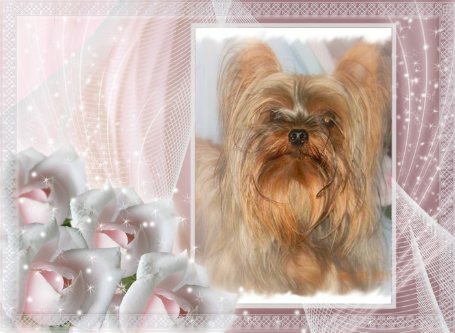 However, for show purposes, while they are accepted in the obedience ring, Parti Yorkshire Terrier Pups are not yet eligible to be shown in the confirmation ring. 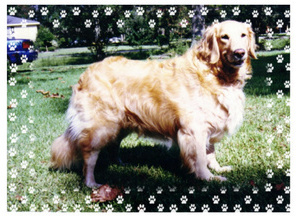 The AKC requires four (4) photos of each puppy (front, back and both sides) to be sent in with the registration papers as the Parti Color puppy is registered on a case-by-case basis. We are very proud of our 100% acceptance rating by this process to date. The Parti gene is recessive and must be on both the sire's and the dam's pedigrees. 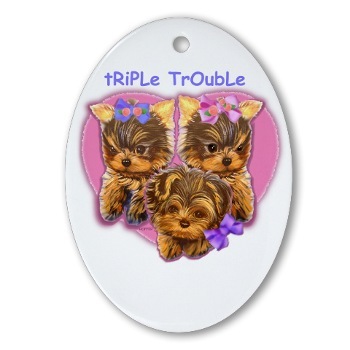 If you breed a Parti Color Yorkie breeder to another Parti Color, ALL the puppies will be Parti Color. 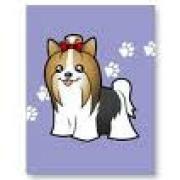 However, if you breed a Parti Color to a Parti Color carrier, this will result in two Party Color puppies and two Parti Color carrier puppies. 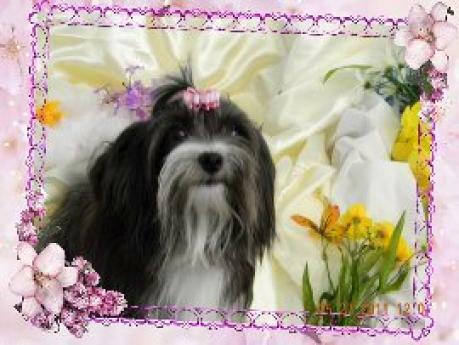 Breeding two Parti Color carriers will yield one Parti Color pup, two Parti Color carrier pups and one standard color puppy. 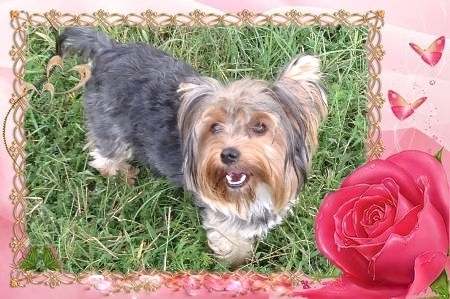 A Parti Color carrier bred with a standard color Yorkie will produce two Parti Color carriers and two standard color pups. Naturally, two standard color Yorkies, when bred, will result in all standard color puppies. Note: These figures are averages based on a litter of four puppies. 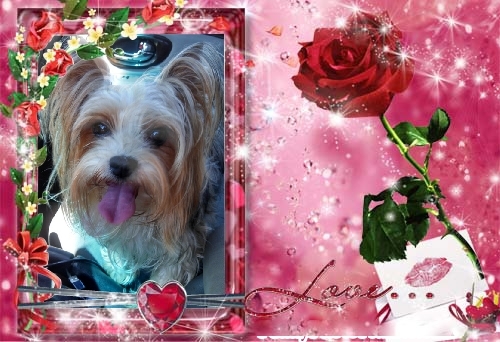 You may get more of the Parti Color Yorkie puppies in one litter and less in another. For me, life is too short to worry about the color of my dog! If you enjoy the color, then that is what counts! The Parti and the Gold may never again be showable in AKC conformation Shows (I have come across an AKC Champion that has GOLD as it's color, that dog is CH. Pretorius' Dandy Sensation TA764014 12-72 GOLD), but then again, since so many people are now concerned about keeping these rare colors alive and well, we may yet see the Parti and the Golds in the AKC show ring! 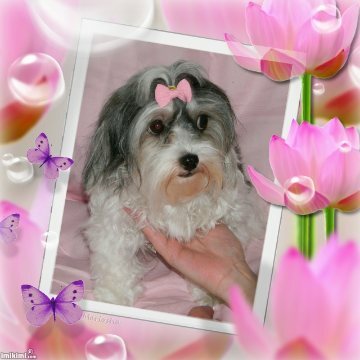 Other dog shows under a different registry are accepting the Parti Colored Yorkies to be shown, even to their Championship! So, I personally will keep my hope alive that one day, these specially Colored Yorkies will be allowed to take their rightful place, not only in our homes, but also in the show ring! On the average of 4 puppies you will get the following results. Since this is only an average you may have more or less Parti puppies in a litter. since record keeping at that time in history, was little to none. have destroyed a litter of "surprise" parti colored pups. dogs have been allowed into the show ring. 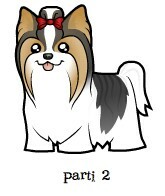 continued, growing acceptance of the Parti colored Yorkie. produces a pup of a different color! Parti Carrier & Golden Yorkie pups.